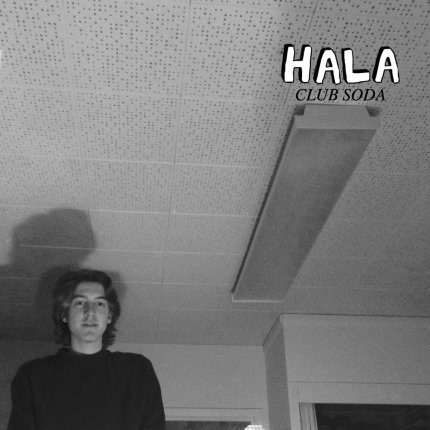 Listen: HALA - "Club Soda"
“Club Soda” was written by Ian Ruhala after spending a lovely evening with some drinks and a woman of interest. According to the group, the track’s line “you’re not my club soda; you’re my fancy wine,” is a lyric Ian crafted after reflecting on the idea that some guys treat women like they really are ‘club soda,’ or ‘nothing special,’ when really if you have feelings for someone they should be looked at as your fancy (respected) wine.” It’s an honorable sentiment, especially from a track whose style would be dubbed slacker-rock/pop by some – but mainly due to the lethargic and hypnotic guitars, in addition to the nonchalant vocals. HALA’s track particularly shines during the chorus, when dual vocal layers make for an entrancing psych-pop effect that reminds strongly of Mac Demarco, who has his own vein of slacker-friendly psych-pop/folk, but one not too distant from the promising early works of HALA.